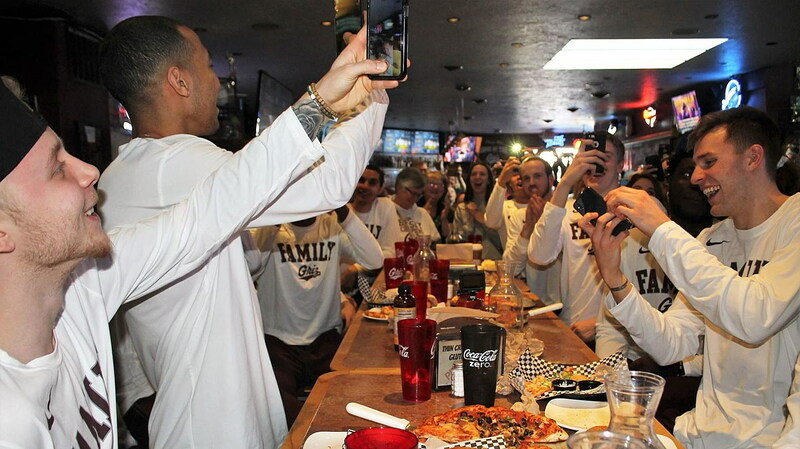 Montana is headed back to the NCAA tournament, and it will begin Thursday vs. a familiar opponent. The Grizzlies were matched up with Michigan, a rematch of last year’s first-round game. Joining No. 15 Montana and No. 2 Michigan in Des Moines are No. 7 Nevada and No. 10 Florida. The two winners will advance to play again on Saturday. Michigan is 28-6 on the year, playing in the Big Ten championship game on Sunday afternoon. The Wolverines have been to the NCAA tournament nine times in John Beilein’s 12 seasons, including four Sweet 16 appearances and two Final Fours. A year ago, after playing Montana in the opening round, Michigan advanced to the title game, finishing runner-up. Ignas Brazdeikis and Zavier Simpson were both named second-team All-Big Ten, with three other players being recognized. Montana will be playing in the NCAA tournament for the 12th time in program history, including the fifth time in the past decade. The Grizzlies are returning to March Madness for the second consecutive season after winning the Big Sky Conference tournament this weekend in Boise, Idaho. The Grizzlies, playing as the No. 1 seed after also winning the regular-season championship, are 26-8 – tied with last year’s quad for the third-most wins in school history. Senior Bobby Moorehead acknowledged that he was surprised that the committee paired the two teams against each other once again, but that he’s excited for the matchup. Over the past two seasons, Montana has won 52 games, the most ever over a two-year stretch. Playing as the No. 1 seed after winning the regular-season championship, Montana defeated Sacramento State in the quarterfinals before dismantling Weber State in the semifinals. The 29-point win was Montana’s largest in conference tournament history. On Saturday, the Grizzlies overcame a 12-point deficit to beat Eastern Washington and punch their ticket. They became the fifth Big Sky program ever to win back-to-back regular-season and tournament titles. Montana played three NCAA tournament teams during the non-conference portion of its season, beating Georgia State and North Dakota State and falling narrowly at UC Irvine. Thursday’s game will be televised on TNT, with Kevin Harlan, Reggie Miller, Dan Bonner and Dana Jacobson on the broadcast team. Tickets can be purchased beginning Monday morning at 8:30 a.m. by calling (406) 243-4051, visiting the Adams Center ticket office or going online. Tickets are $110 for Montana’s session (two games on Thursday).